Welcome the Green Wild Rose to the blog! 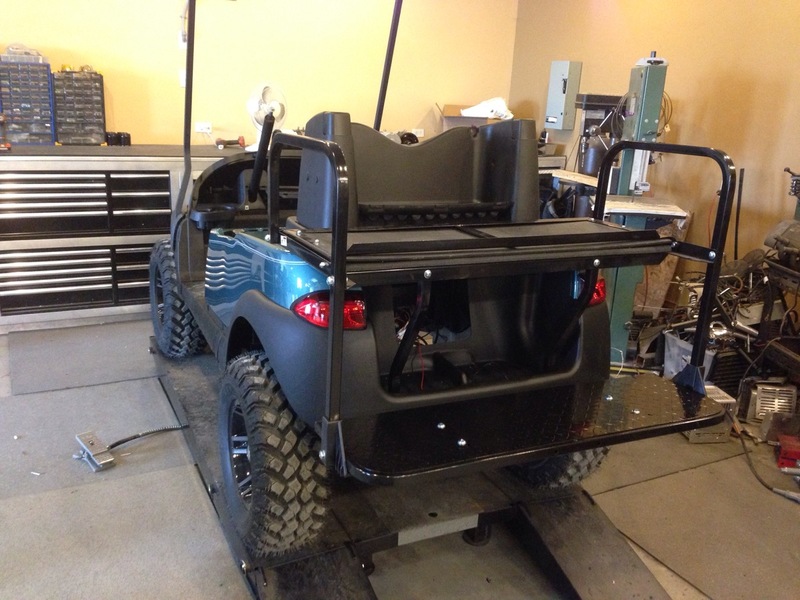 This sweet lifted cart is making its debut on the blog this week and it is pretty darn cool! 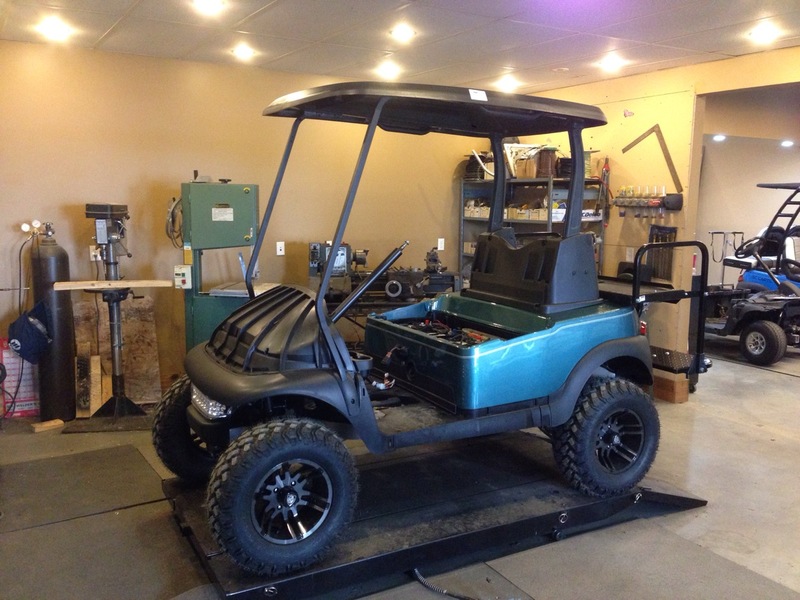 We just LOVE how this cart is coming together – the color picks for this cart are spot on and it has some pretty great accessories! 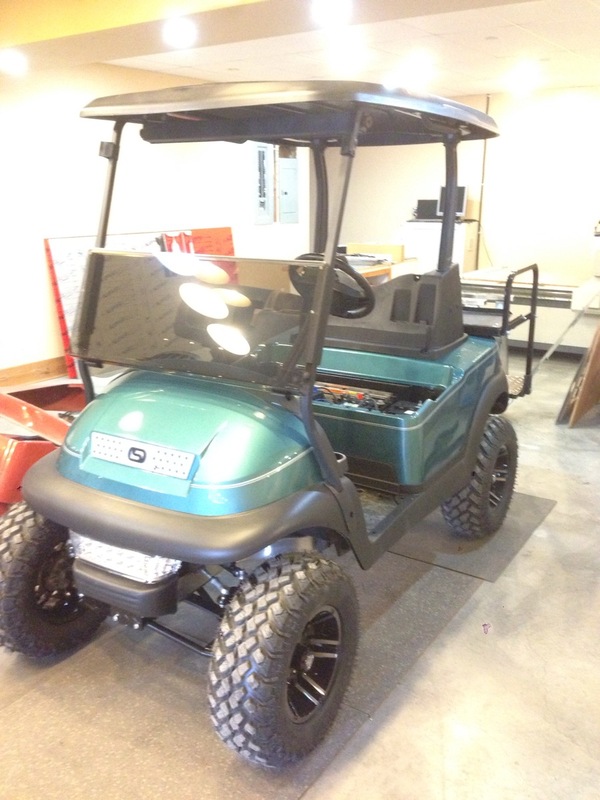 This people movin’ cart will have a rear seat to make sure its guests get to the beach on Shuswap Lake! 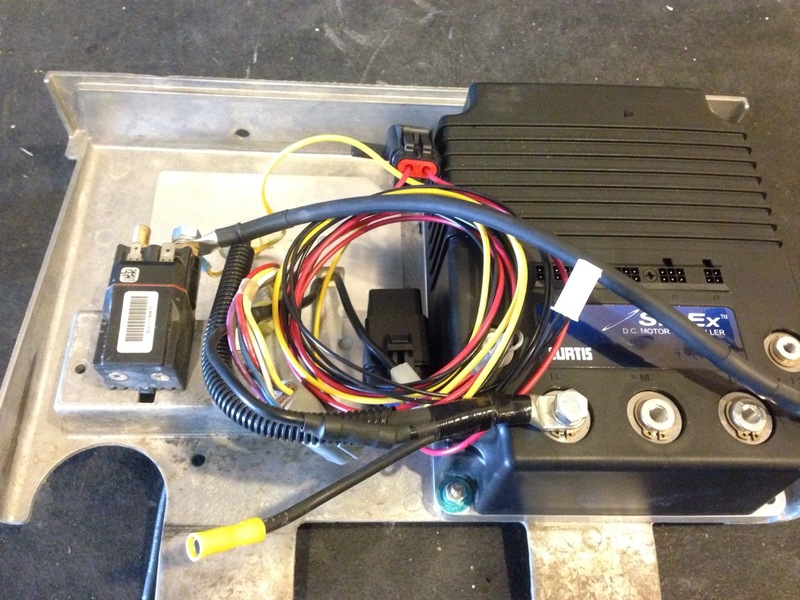 500 amp controller with toggle switch for two separate programs. 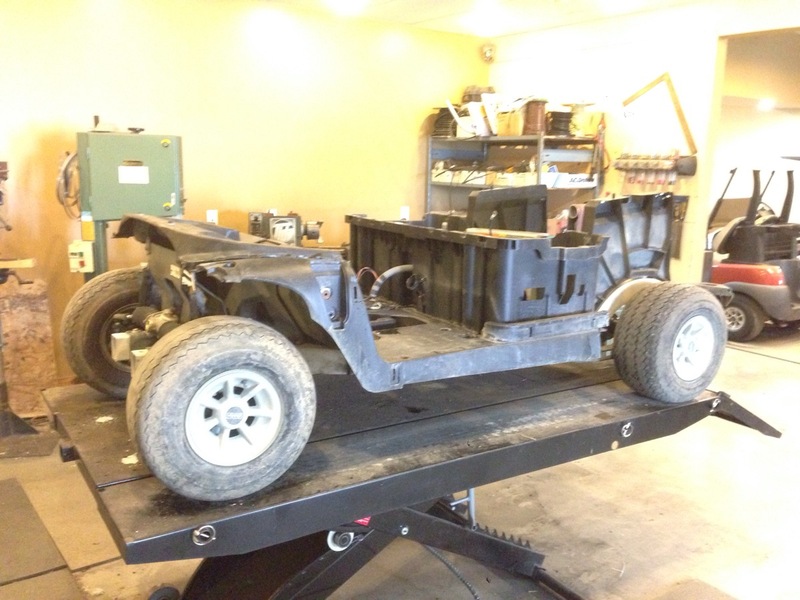 This stock cart is going to look very different in just a short while! 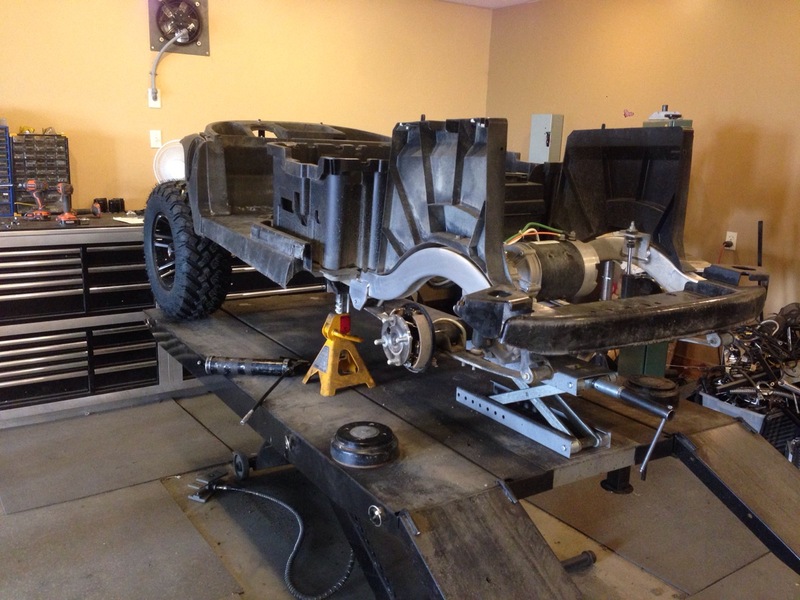 The first step is to get this front end rebuilt and all the stock suspension components removed. Here’s a beefy setup! 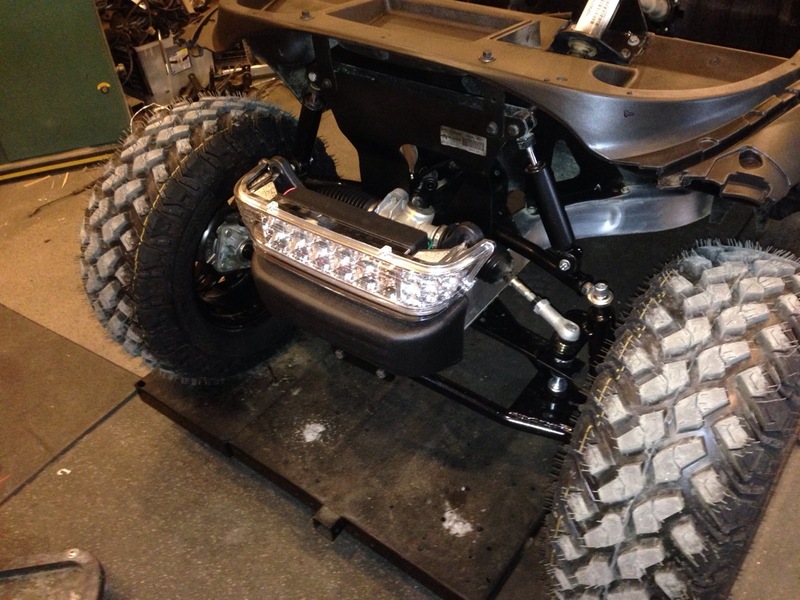 The new front portion of the lift is installed, no drop spindles here, SC Carts are meant to be used, so we only install the strongest off road components. 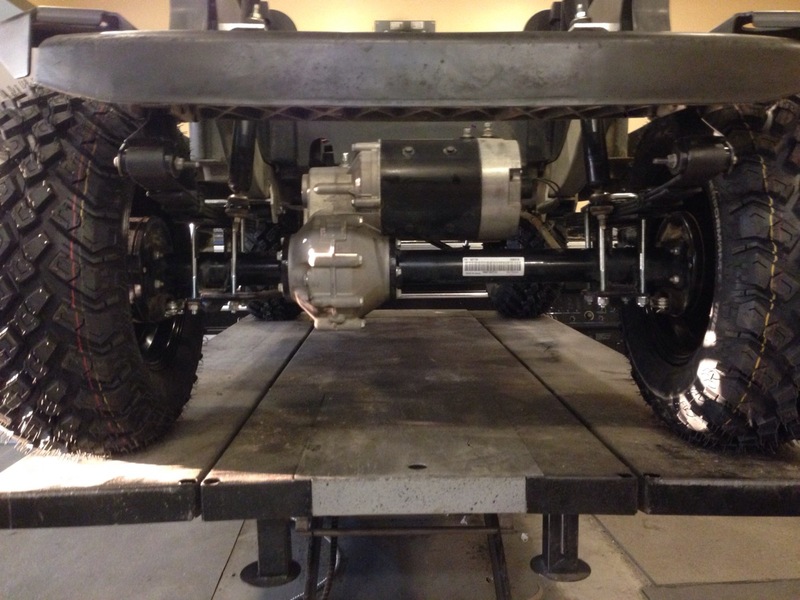 Check out this stance, not only does it look awesome, but it gives great clearance and stability with this setup. Onto the rear where we tackle the braking system, new brake pads are a must, and this machine go them! 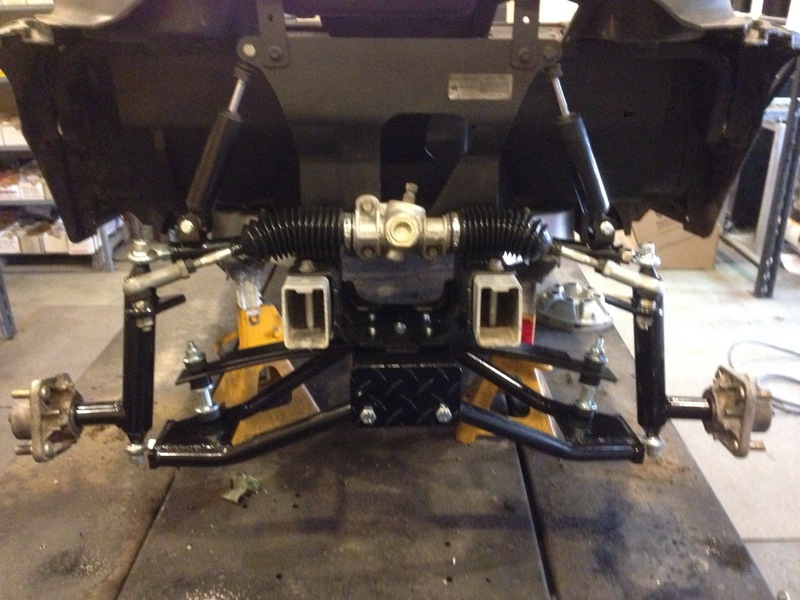 After all the mechanics of the cart were sorted we installed the rear lift it. 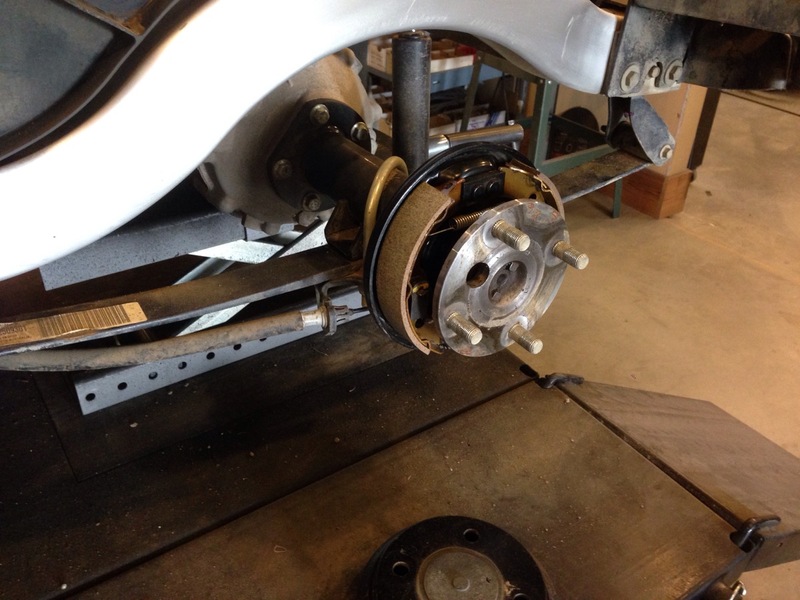 This isn’t the wheel and tire package that is going with the cart, but we put these on to roll it around the shop until the 14″ rims and tire package show up. 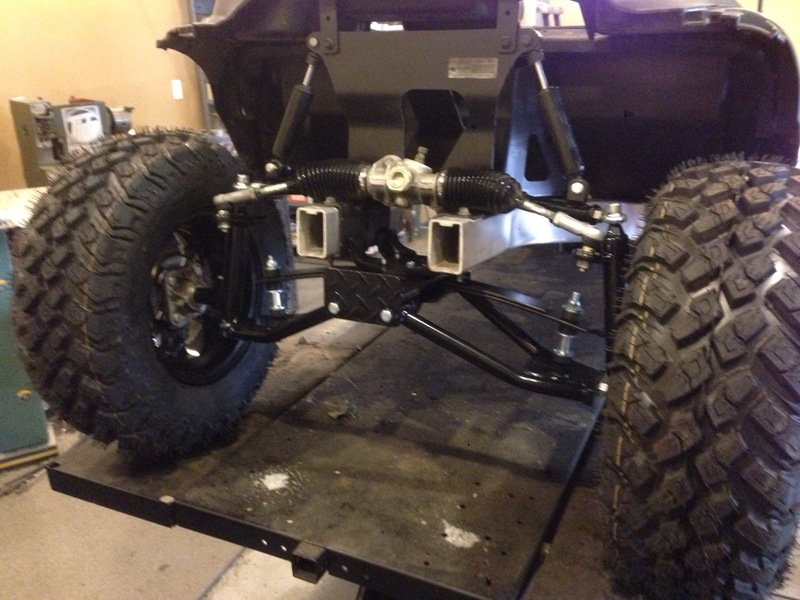 Heavy duty rear suspension and the lift kit installed… now that is a serious lift! 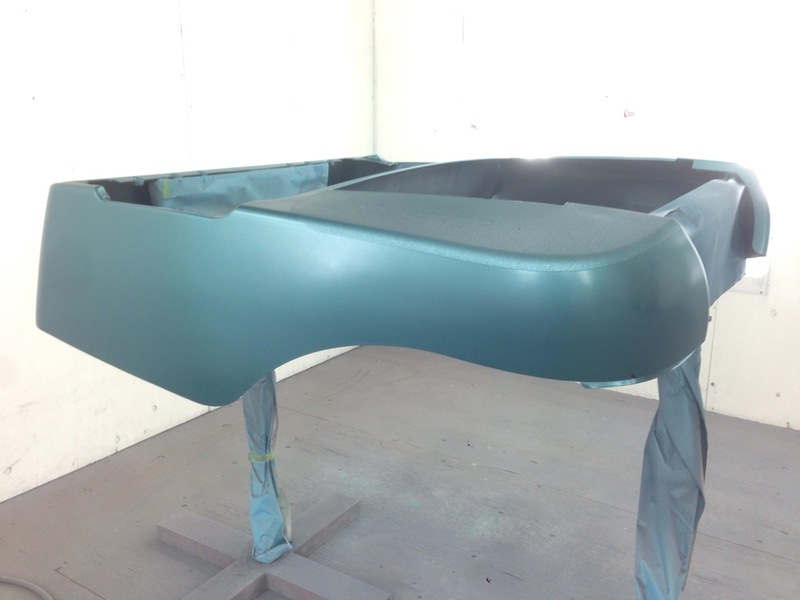 Into the paint booth, here we have laid down the epoxy sealer on the body in preparation for the very cool custom color. Here it is! We haven’t done one this color yet, this color is a classy timeless look! While the paint dries, we move onto the grunt end of this beast, we have upgraded the controller from the factory 250 amp to this awesome 500 amp controller with dual mode switch. Because the customer has younger children that will be using this machine they wanted the capability to flip the switch and have a slower program to keep everyone safe. 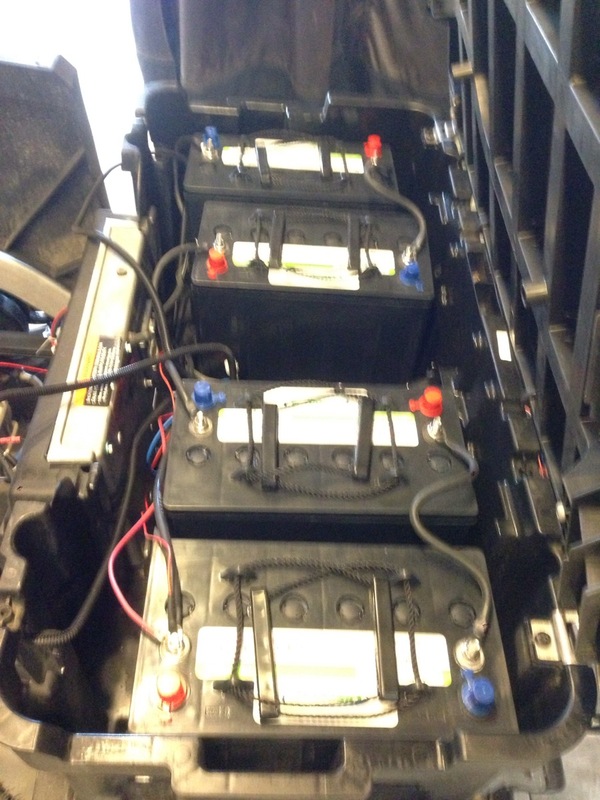 We love when customers by the AGM batteries. 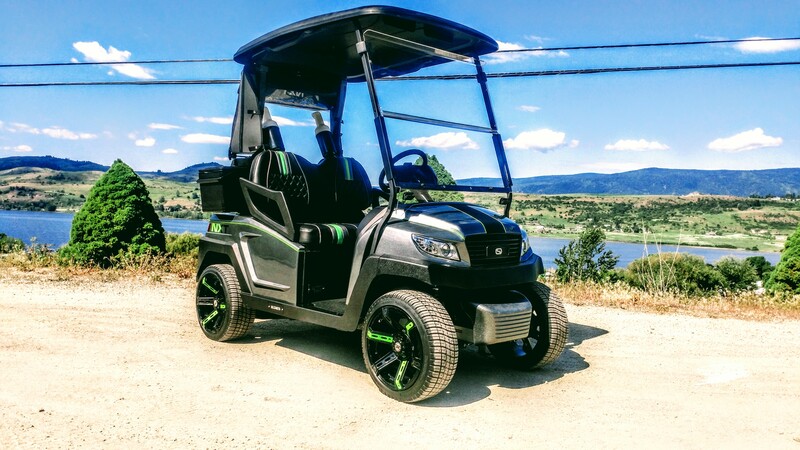 These batteries are well worth the additional upfront cost, as they payoff both in the short term performance and long term lifespan. These are truly amazing batteries. 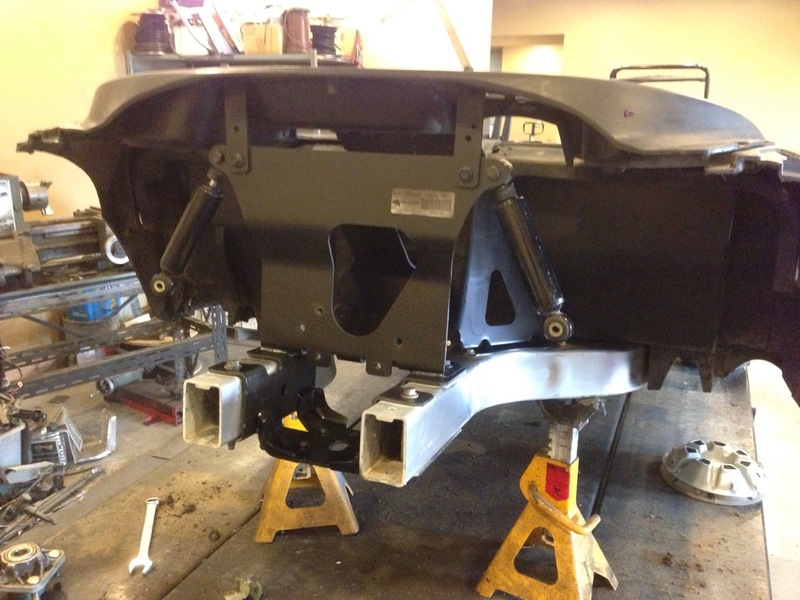 With the paint dry we wasted no time getting the body installed on this beast. Next we installed the rear folding seat kit, that converts from a rear bench into a flat deck for hauling some serious cargo around. Also the LED taillights got installed at the same time. Then came the roof and a custom silver pinstripe…that might give you a bit of a hint as to what color the wheel and tire package will be. 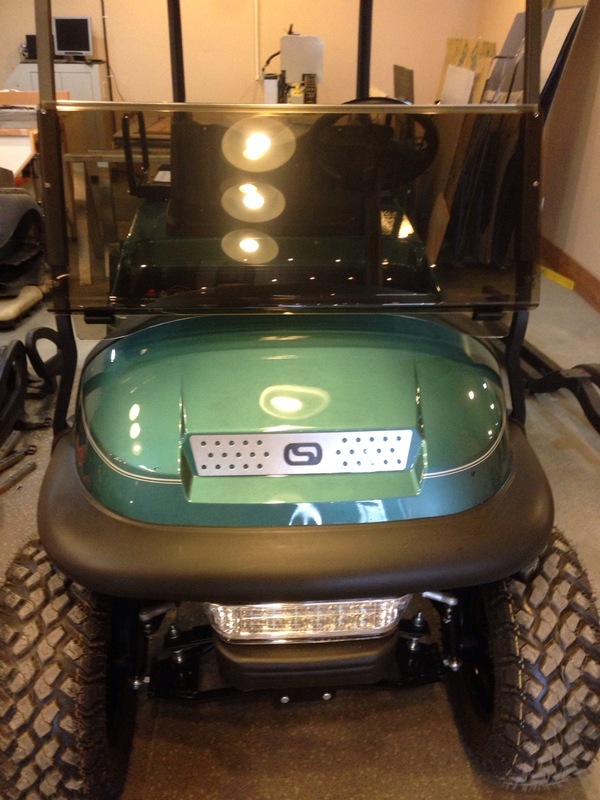 We finished off the front of the cart with the custom painted cowl, custom silver pinstripe and of course our SC Carts custom grill. 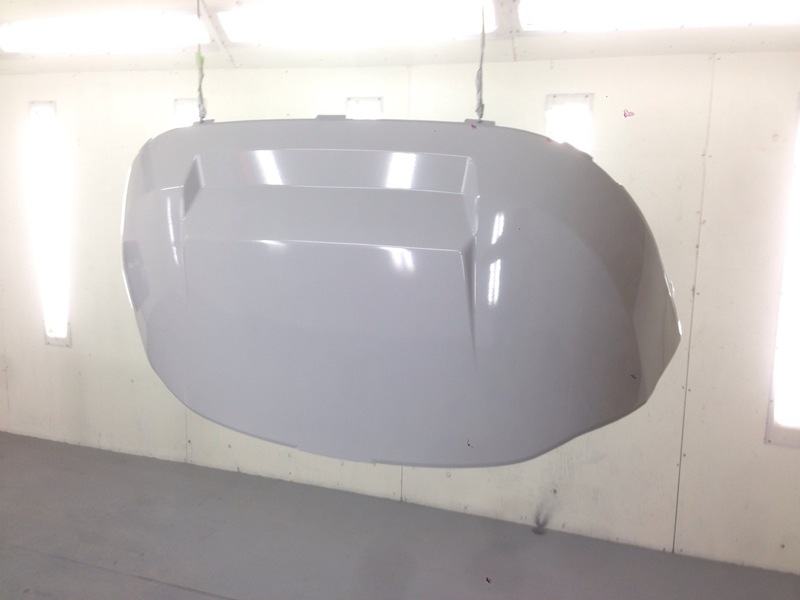 To keep the wind and sun out of the eyes we have installed a folding/tinted windshield. This beasty is looking amazing! To see if you still have the kids on board we installed the rear view mirror. It is also useful to see the traffic behind you! 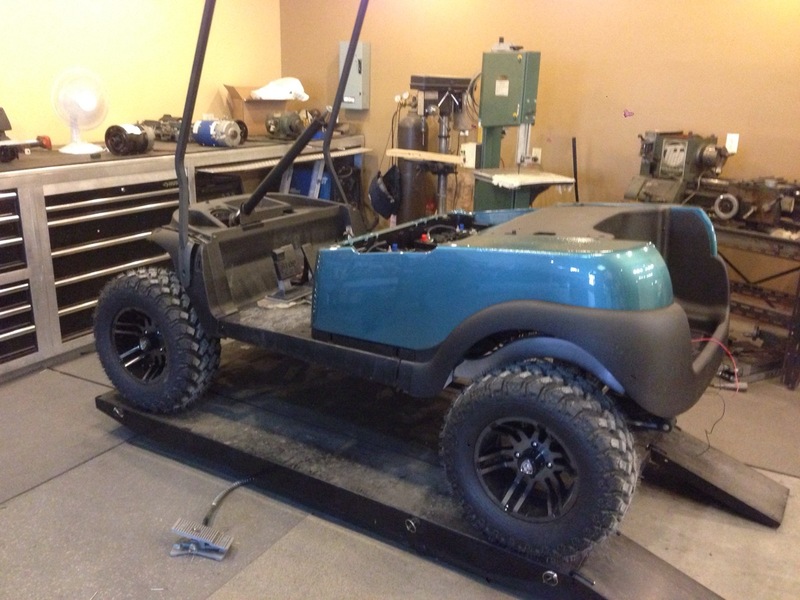 We got a lot done this week on this amazing build and with a few finishing touches, like the custom upholstery and the proper wheel and tire package this cart is going to one head turning machine! 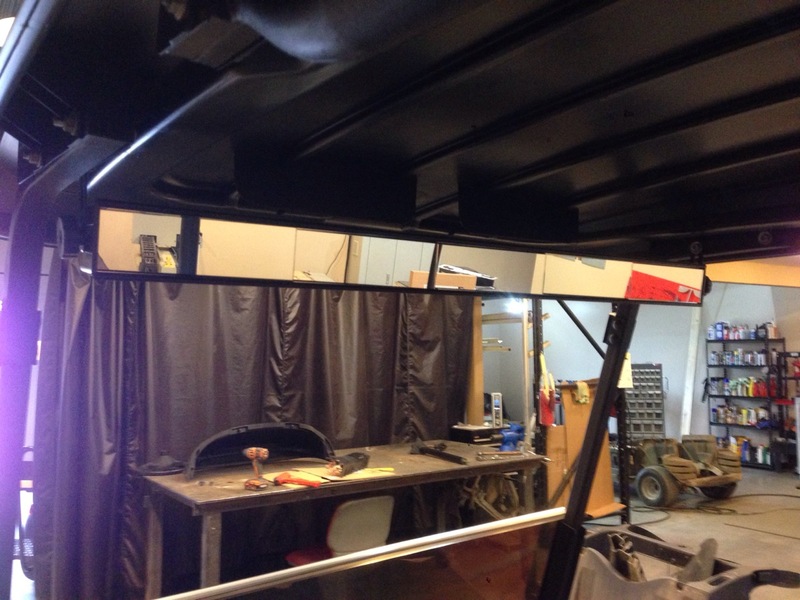 Make sure to come back next week to see it all finished up!